A breath of fresh air, and a weekend to remember. Four of us from our Geneva group when up for their long-lasting tradition of a quilt retreat for the weekend of the Jeune Genevois. 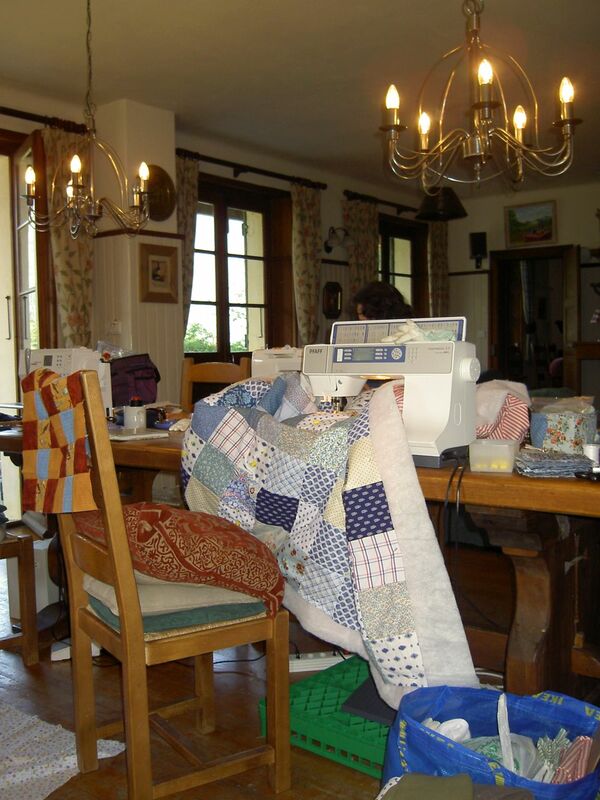 It was also an opportunity to check out the location of the next Peaks quilting course in October. It was simply WONDERFUL! The chalet was a pure delight, with a large and comfortable room to work in, a hot tub to soak in, and oodles of time to just play, play, play. 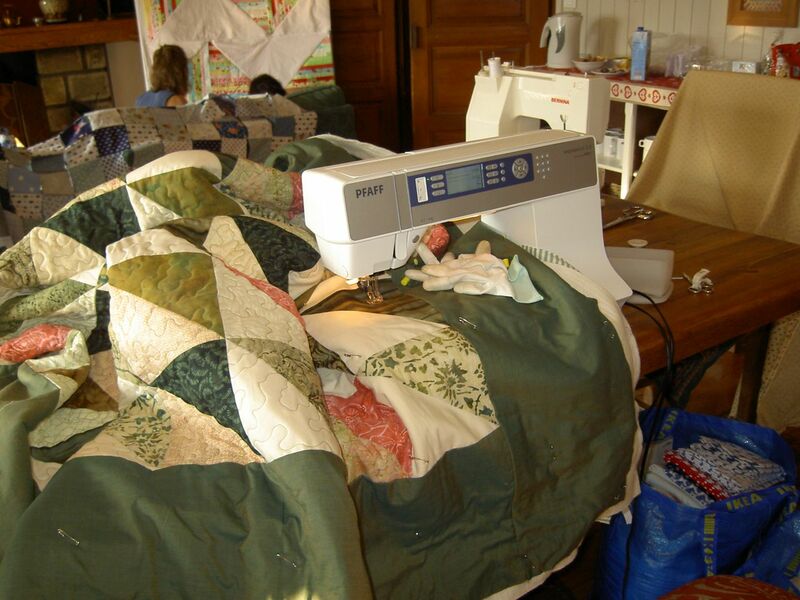 Quilting monomaniacs duly contented. I finished the quilt for my friends (as show in my previous post), and then made another for good measure. I got ragged like mad for overachieving — well deserved, of course — but I really felt that I finally got all the time to sew that I had been dreaming of over the summer, and had never quite found. 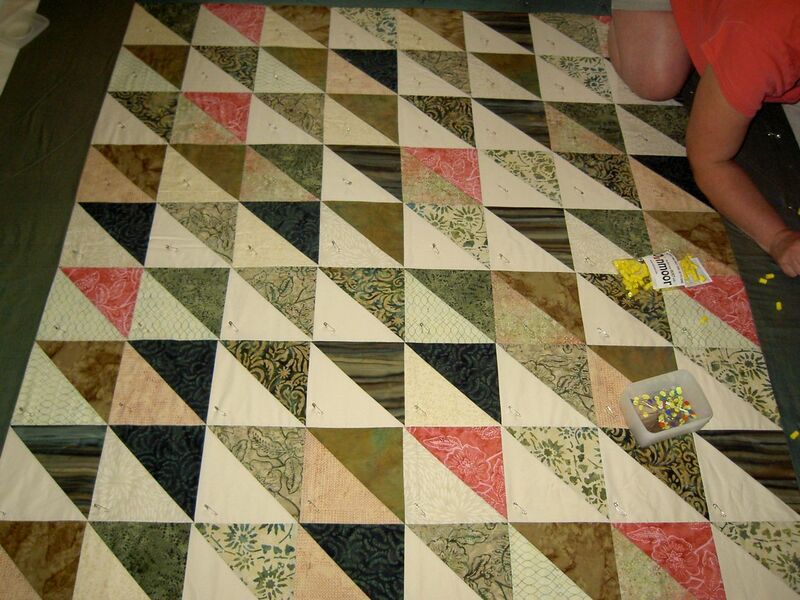 A monster to quilt, in one day!